"That orchestra had something that made it different from the others. It had something that it is now hard to find which I call sacred fire". The orchestra’s powerful walking beat is conveyed by a unique way of combining the bandoneons with the strings, and by Di Sarli’s own magisterial touch on the piano. Di Sarli was the only irreplaceable musician in the line-up and he kept his exceptional style a closely guarded secret, refusing even to let other musicians watch him play. A complex personality, his sensitive, principled nature is summed up in his sobriquet El señor del tango – the gentleman of tango. Michael Lavocah is the author of Tango Stories: Musical Secrets, the guide to tango dance music. 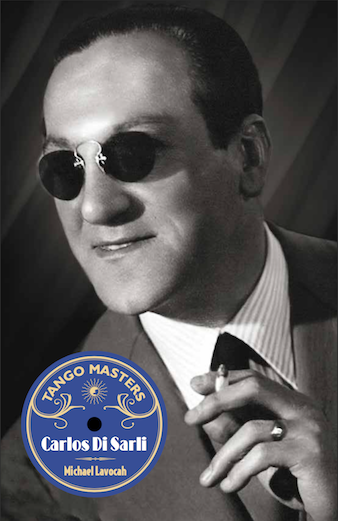 This is the third volume of the series Tango Masters, which explores the music of the great orchestras of tango’s Golden Age in depth.